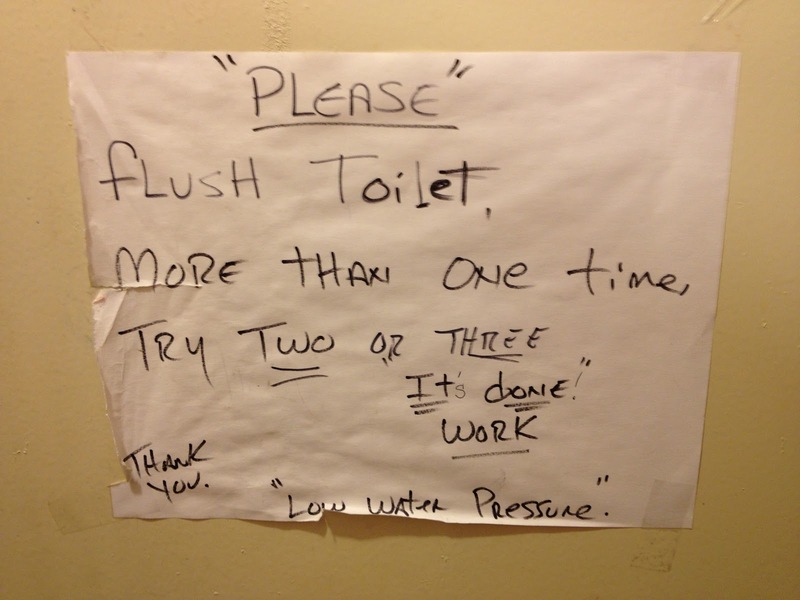 At least they give you the "low water pressure" excuse if you need to "it's done!" work or something. Thanks Adela. 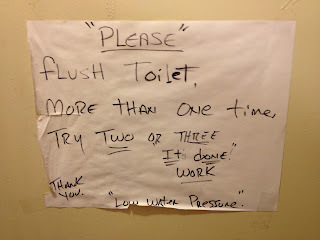 It looks like someone has made amendments; I wonder if the original "It done work" was intended to mean "It don't work."